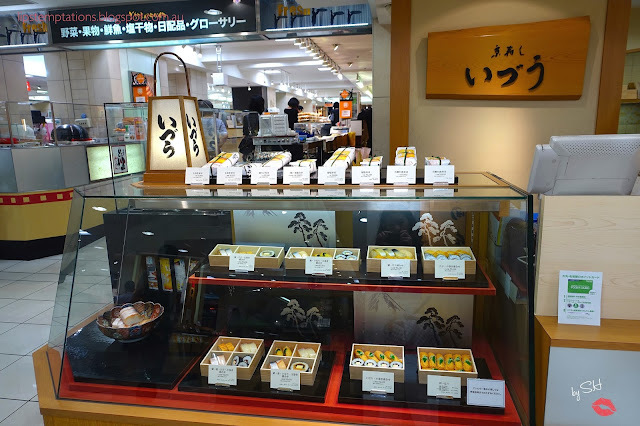 One of the food you have to tried while you are in Kyoto is Kyoto style sushi. Honestly, I didn't even know it existed prior this trip. There are two well known for Kyoto style of pressed sushi, specifically mackarel sushi. Izuju is one of the most popular and well known to locals and tourist, the other one is Izu and it's more of a hidden gem. I learn an interest thing fact that chef in Izuju actually train in Izuu so I decided to go to Izuu instead. 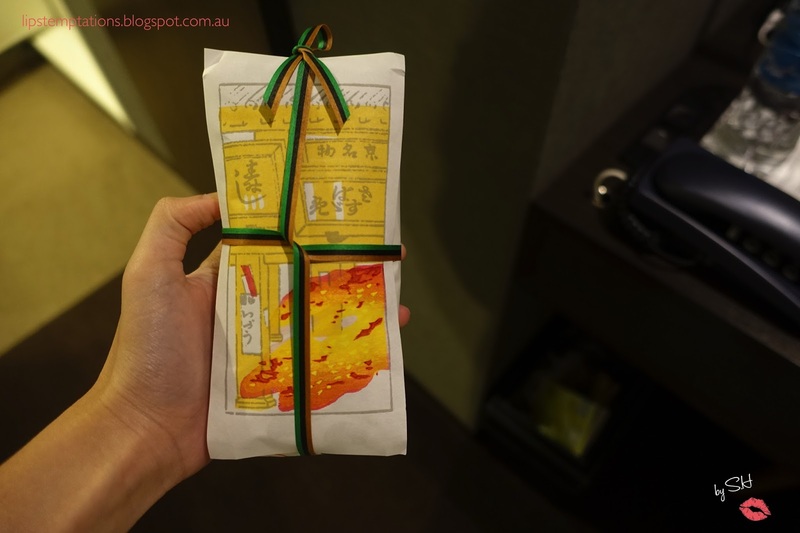 By chance I found another branch of Izuu at Daimaru basement, it's a small take away store with small seatings area. At first I wasn't so sure it's Izu, after asking the staff and matching izuu Japanese alphabet with the one I found on the internet than I'm pretty sure it's Izuu. 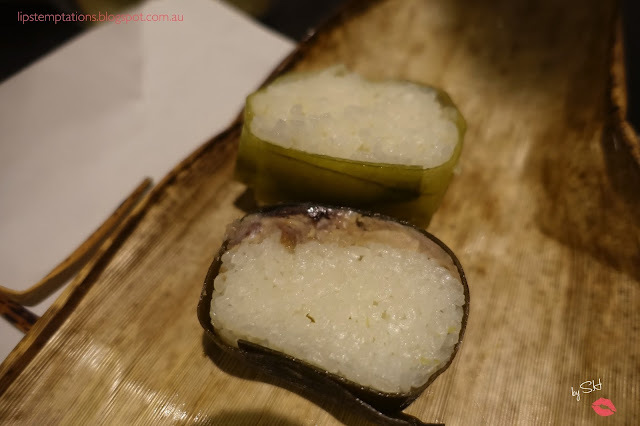 I decided to order a portions of the famous Sava-sugata-zushi, it's fermented saba (mackerel) in sushi vinegar, packed with sushi rice and wrapped with pickled kombu (kelp). 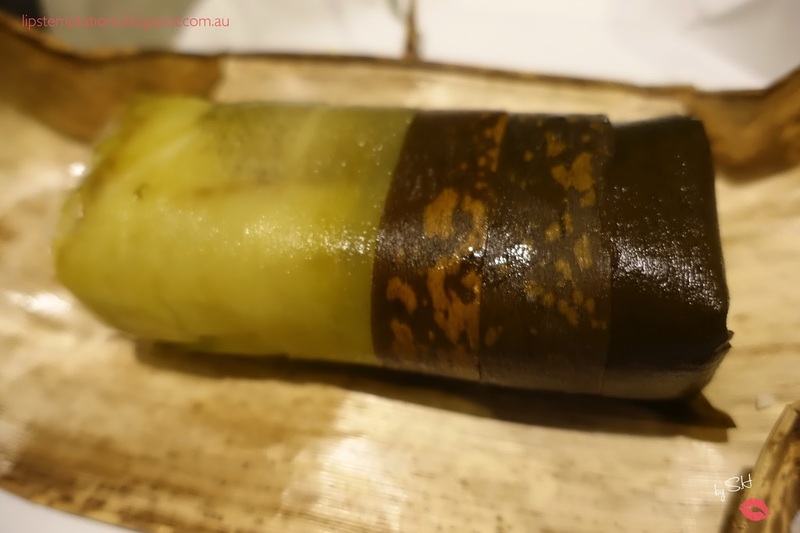 The pickled kelp on Saba-sugata-zushi is pretty thicked and then I found out it is meant to be removed and eaten separately or some people does not eat it at all. 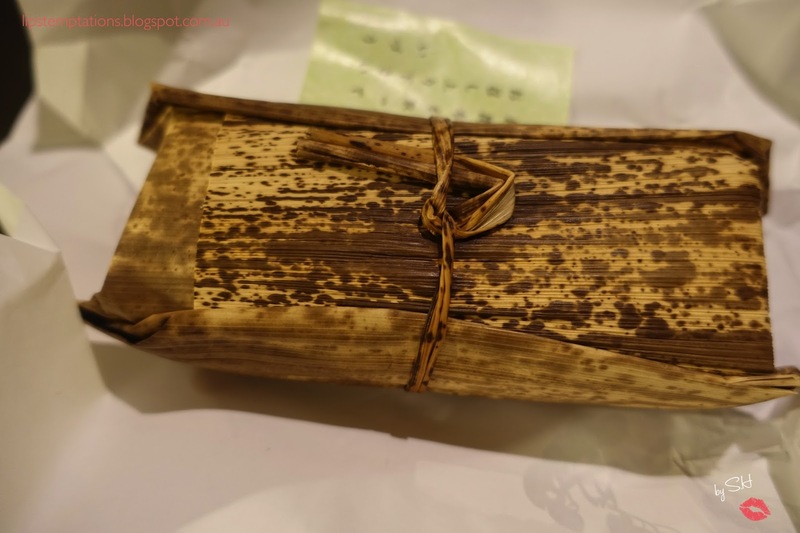 The vinegar seasoned kelp is also used for preservations purpose without refrigeration. 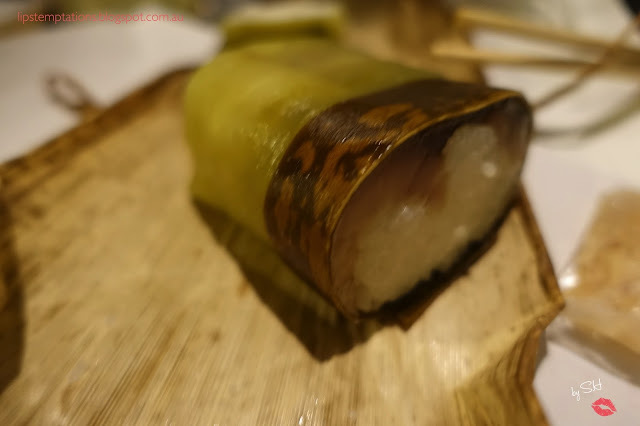 Sadly, for me it was way too sour, it's kinda slimy, somehow the mackerel still have a fishy taste to it and it was very heavy cause of the whole pressed sushi method. 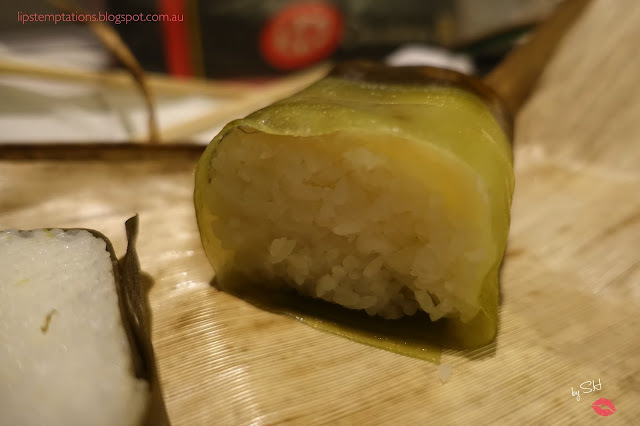 Tai pressed sushi is also one of the popular items in Izuu, the pickled kelp on the tai sushi is slightly thinner than the kelp on Saba-sugata-zushi so it is meant to be eaten together with the sushi or peel it and just bite into the sushi. To be honest if you are not into pickled vegetables or sour taste to begin with, I would not recommended this sushi for you. 3 pieces of Saba-sugata-zushi and 3 pieces of Tai sushi are surprisingly filling, there are very heavy and thick. All of them cost 2430yen. Overall, it was a fun, new experience trying new kind of food that I didn't know even exist before but sadly, I prefer the normal kind of sushi. Even though if you are up to the challenge and you love sour and pickled vegetables this sushi would be suitable for you.